Join literacy consultant Debra Crouch as she and her guided reading group of 1st grade students read CLEVER TAILS, a Level G title from the FLYING START TO LITERACY series. FLYING START is available from Okapi Educational Publishing. Join literacy consultant Debra Crouch as she and her guided reading group of 1st grade students return to CLEVER TAILS, a Level G title from the FLYING START TO LITERACY series. FLYING START is available from Okapi Educational Publishing. Join literacy consultant Debra Crouch as she and her guided reading group of 1st grade students read MONKEY'S TAIL, a Level G title from the FLYING START TO LITERACY series. FLYING START is available from Okapi Educational Publishing. Join literacy consultant Debra Crouch as she and her guided reading group of 1st grade students talk about CLEVER TAILS and MONKEY'S TAIL, Level G paired texts from the FLYING START TO LITERACY series. Managing guided reading groups often generates a multitude of questions about flexibility: How do I know which children go in which group? Which books do I use in a particular level? How do I know when my students are ready for the next level? Guided reading is a small group opportunity to support readers as they apply known reading strategies. David Hornsby, in A Closer Look at Guided Reading (2000), describes guided reading as a time when “the teacher helps the children use strategies they already know so that they are able to read an unfamiliar text independently, with success.” Those reading strategies have been modeled and demonstrated during whole class read-aloud and shared reading. During guided reading, the intentional use of wait time by the teacher encourages the use of reading strategies. When children are developing as readers, the use of reading strategies is slower and less automatic, meaning students require more time for processing. Teachers who wait when students make an error, rather than immediately giving a correct word or automatically prompting a strategy to try, provide students the opportunity to self-monitor and self-correct. This is when learning to be a strategic reader occurs. Close reading and guided reading can exist in the same instructional environment. By reading closely in guided reading, a reader is encouraged to apply all their known understandings about how texts work to figure out meanings the text brings into existence. When close reading of a text is viewed as comprehending a text in an intentional manner, it can be powerful within the context of guided reading. 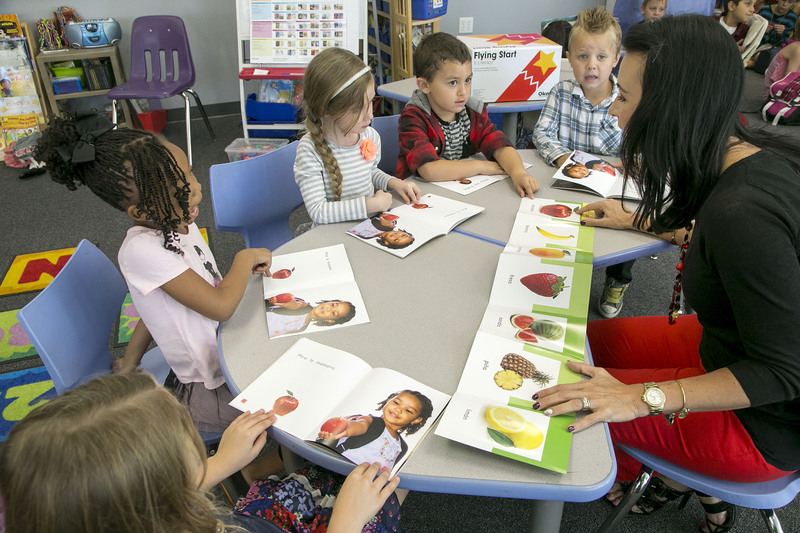 In Shared Reading, Students Learn What They Later Apply in Guided Reading Shared reading and guided reading lie alongside each other within a gradual release of responsibility model of instruction. One of the key ways guided reading instruction differs from other small reading groups is through this relationship to shared reading instruction. When It Comes to High Frequency Words, Context Is Key in Guided Reading Texts! 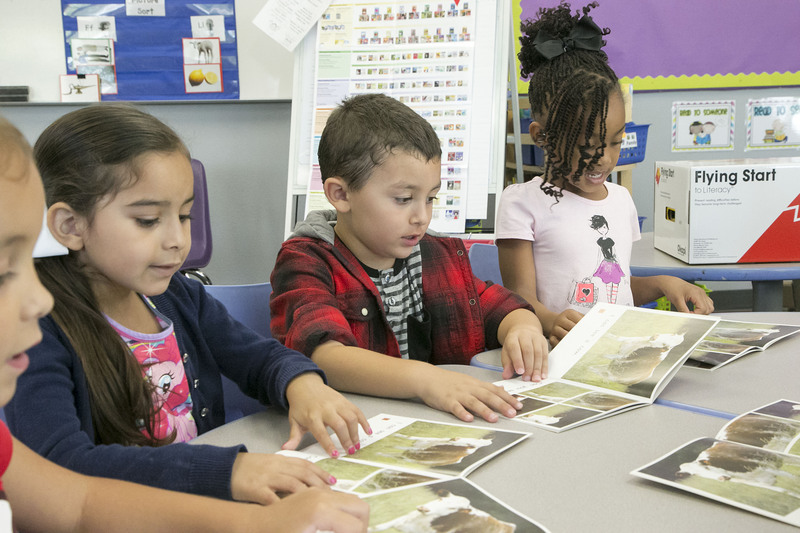 The use of high-frequency words in guided reading texts offers young readers multiple opportunities to learn these words as a component of an effective reading process. When developing readers learn high-frequency words in context, their abilities to recognize these words by sight supports them becoming confident, accurate, and fluent readers. 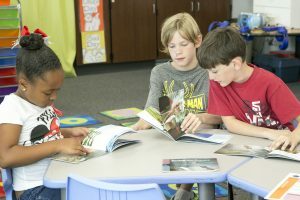 Guided reading presents a unique opportunity for students to learn academic vocabulary if the guided reading books are written about engaging topics in ways that make academic vocabulary interesting and accessible. Students love learning “big” or “fancy” terminology for things and they will use academic vocabulary confidently if those terms have context to supply meaning and the terms have been used in a supportive discussion.